An ongoing concern of Rosary Road and Area Residents Association is the speed at which some motorists drive through our roads. Some of the road in the neighbourhood are relatively narrow, with many intertwining junctions, children playing and elderly naeighbours. These are all potentially hazardous when drivers are not observing an appropriate speed. RRAARA has been working with the local West Midlands Police team to undertake community Speedwatch events. 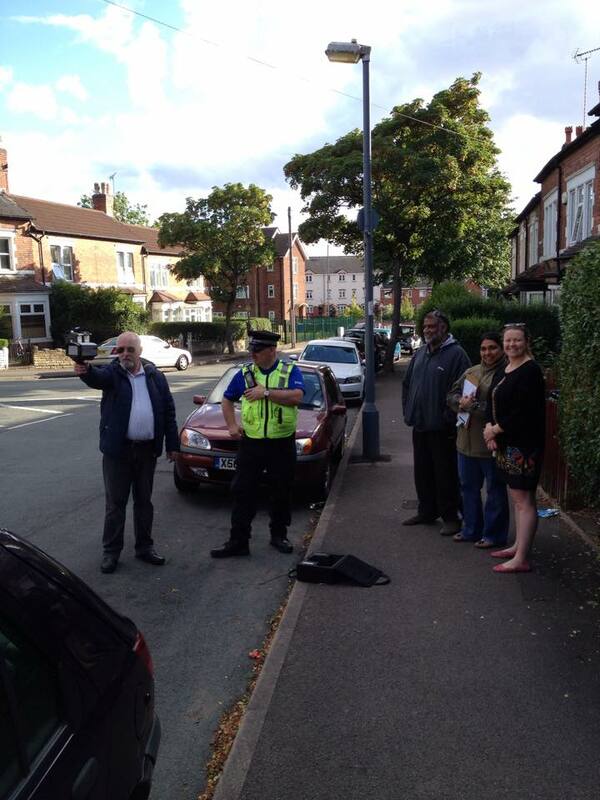 Under the guidance of PCSO Ian Willetts, members of the residents association spent an hour each at Rosary Road and Fentham Road monitoring passing cars to ensure they maintained legal speeds. Mike getting comfortable with the speed gun! 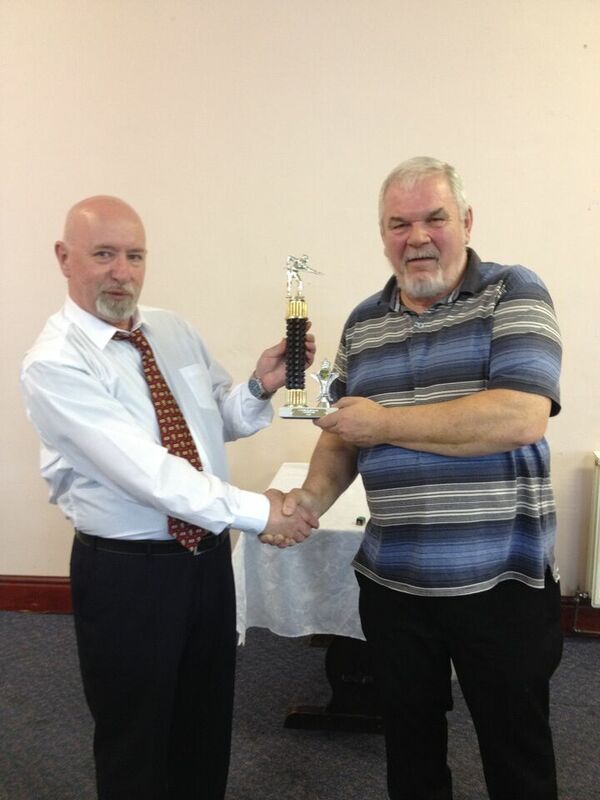 The first annual Rosary Road and Area Residents Association pool competition was roarnig success! 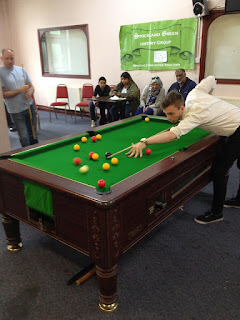 All competitors played their hearts outs, there was sweat, tears and a fabulous buffet. 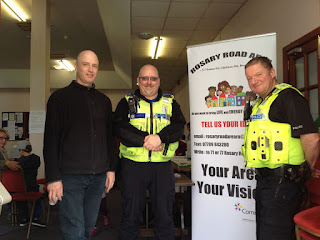 We're lucky to have the support of the local PCSO team. 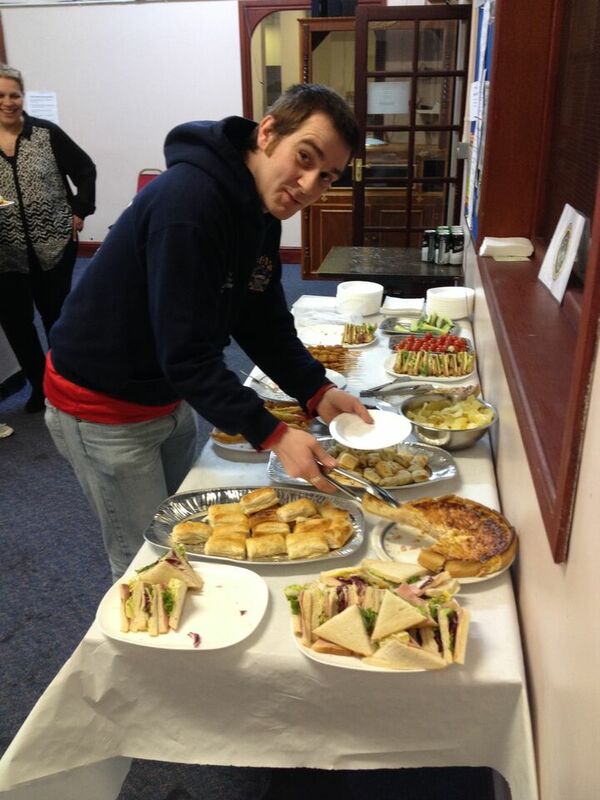 Ronan made no secret of how impressed he was with the buffet, kindly provided by the Magnet Centre. It was great to see other local groups lend their support. Here's the Stockland Green History Group. Mike presents the winner, Richard, with his trophy. We're very much looking forward to next year's competition. 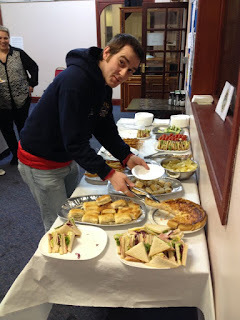 We'd like to thank Fotoulla and George at the Magnet Centre for all their help in organising our event, helping to make sure things went smoothly on the day, and providing such a wonderful buffet. Rosary Road and Area Residents Association is pleased to announce its inaugural pool competition! 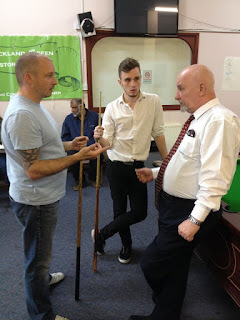 The competition will take place on the 9th of May 2015, at the Magnet Centre in Stockland Green. It is open to all players, male and female, aged between eight and 80. There will be food provided and a licensed bar available, as well as trophies for our winning competitors! To help us plan the event, registration is essential. To do this, please contact Ronan Fitzgerald at ronan@rosaryresidents.co.uk. Player details will be held securely and confidentially for this event only. Our safeguarding and childprotection policy can be emailed on request. So don't hesitate, get involved, and tell your friends! In case you're not sure, the map below should help you find out where exactly the Magnet Centre is. The next meeting of Rosary Road and Area Residents Association will take place on Monday 26th January at Highcroft Community Centre on Slade Road. If you're not sure where Highcroft Community Centre is, this map should help. 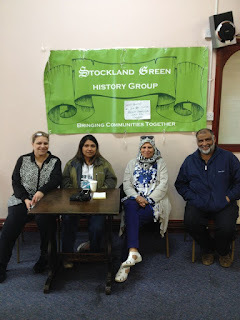 Our last meeting was a great success, where a number of items were discussed, including the ongoing fly tipping concerns in the area, and potential events for us to get involved with to promote community spirit. 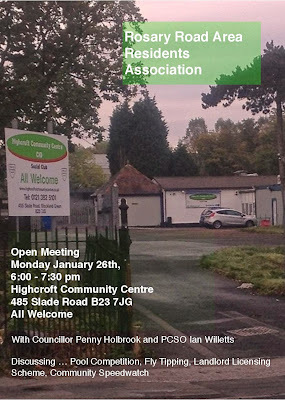 Rosary Road and Area Residents Association's December meeting. You can view the full flyer about the next meeting by clicking this link. It includes further contact details and information about us. 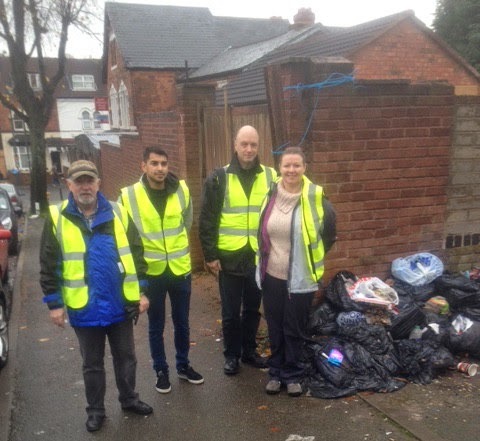 A recurring concern of Rosary Road and Area Residents Association is fly tipping, and it is a priority for us at the moment. Several locations in the neighbourhood, around Rosary Road, St. Thomas Road and Frances Road, have been seen by residents to be hotspots for people to illegally dump their rubbish and unwanted belongings. Recently, some of our members undertook a walkthrough of the neighbourhood to survey these hotspots. 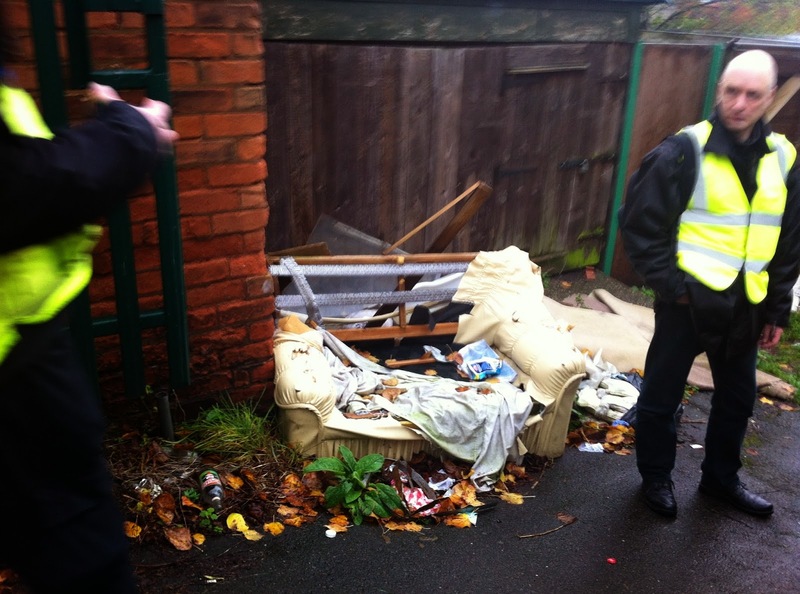 Mike, Saalim, Paul and Tracey surveying fly tipping. The objective of the survey was to gather evidence by noting the locations and taking photographs at those locations, to present a case to local authorities. Here are some examples of thir findings. Entrance to St. Thomas Road/Abbey Road gully, behind the shops. Abbey Road/George Road gully, on opposite site of the road to the mosque. It's safe to say that, sadly, the sights in the images above are quite familiar to residents of the area, and very much bring the neighbourhood down. 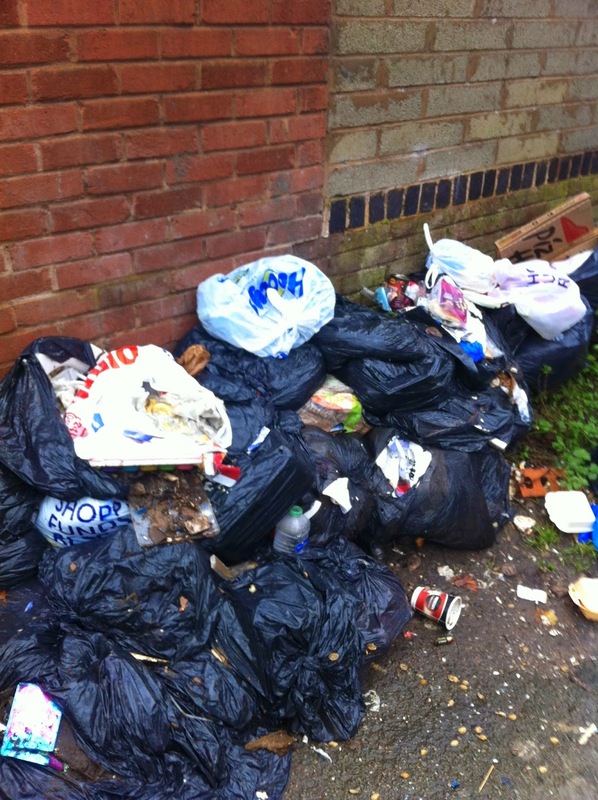 We welcome more voices airing their concern, helping to report incidents of fly tipping, and creating a stronger sense of community concern to local authorities to lobby them for further action on the matter. Please contact us to find out details of our next meeting where you can have your say. Our email is rosaryroadareara@outlook.com. 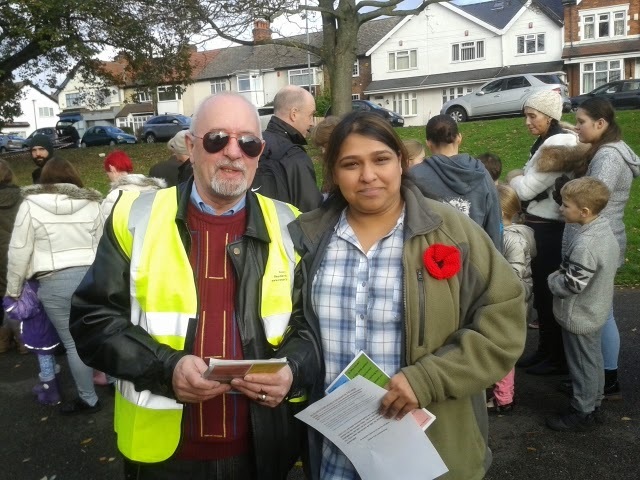 Operation Peacebulb took place today at Brookvale Park, and Rosary Road and Area Residents Association were out to show support and engage with the community. 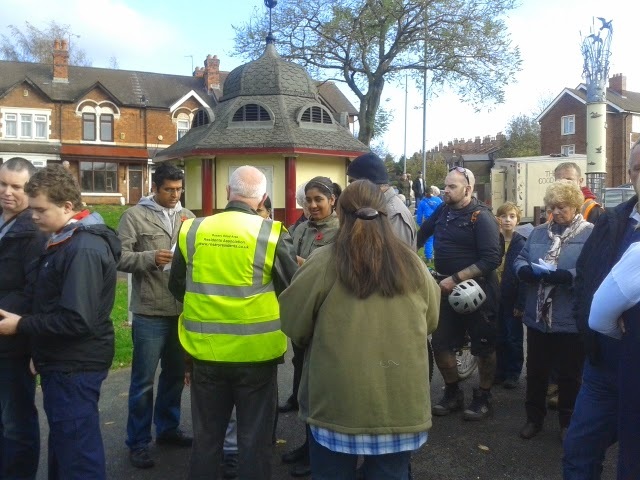 Operation Peacebulb was a world record attempt organised by West Midlands Police, complete with an adjudicator from Guinness World Records on site. The record involved 850 people planting 3000 bulbs in the park, with the outcome of creating a garden memorial - the only Remembrance memorial in Stockland Green. The masses line up to get planting their bulbs! 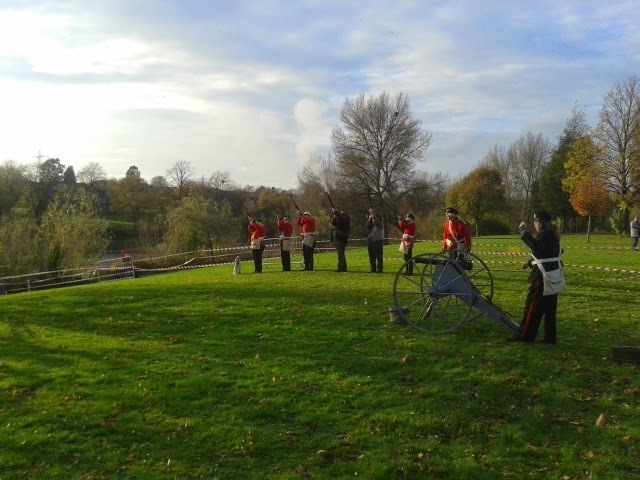 Also at the event were the Anglo-Boer War Staffords, a living history group who fired rifles and a cannon for display. Overall this was a fantastic event! It was great to see such a great turnout at a community event, at great for us to meet some of you! We look forward to meeting more of you at future events!